When the "hey-days" of the Trocadero Ballroom were fading, (1957 and onwards), a decision was reached by the partners to sell the old horse. At that time, Bob Lyon had decided to head off to Vancouver. In 1959, Vi and Don Walmsley took over the Ballroom renaming it "Troc 59". The Big Band era was all but history. Don still fronted a smaller band (usually 6 to 8 pieces), however the Presley/Beatle generation soon spelled the doom of this form of music and dancing. "Troc 59" continued to hold Monday night dances with Mal Meridith's Olde Tyme Band. For the rest of the week, the old ballroom sat either empty or used as a Bingo Hall until the wrecking ball came along, at which time the Trocadero Ballroom/Empire Vaudeville Theatre passed into undignified oblivion. 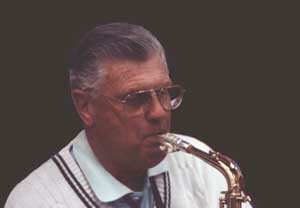 A small obituary appeared in the Edmonton Journal (Feb 01,2014) which stated the passing of DON WALMSLEY. Those who may not be aware of Don will appreciate the fact he and his late wife Vi "rescued" the old TROCADERO BALLROOM when they renamed it "TROC 59" many years ago. Don was a very fine musician/vocalist ranking amongst the best in Edmonton. He originally hailed from England and made a name for himself as one of this city's finest alto sax players. He also had an excellent tenor voice. In his prime, Don was a very handsome man on stage at the old Trocadero Ballroom and Troc 59 where he performed for many years prior to its eventual demolition. As mentioned, Don and Vi saved the original Trocadero venue in 1959 with the formation of "Troc 59" which lasted for a few years on 103rd st. (the site of the old EMPIRE THEATRE). This was just south of the present UofA Enterprise Square, (formerly known as the "Bay" on Jasper. Don may not be missed, (or even known) by many musicians in this day and age, however those of us who knew and performed with Don in a bygone (big band) dance era will recall this fine jazz musician with great fondness. After he retired he was later asked to join the present TROCADERO (Alumni) ORCHESTRA now in its 23rd year. Don became one of the "Alumni's" original members in the reed section.